The history of jazz just like the history of many food dishes is based on a common trait that combines the best from different cultures when people immigrate to a new place bringing with them their ethnic ideas and knowledge but also a desire to adapt to their new surroundings. Jazz is an improvisational art, making itself up as it goes along, just like the country that gave it birth, and in many ways it is also the story of American life. 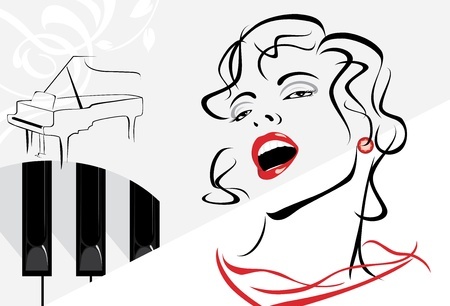 Jazz unlike other music genres does not have a standard definition or form and perhaps it is this undefined attribute of the music that makes it special and a constantly changing form of art, based on the fundamental elements of human imagination and improvisation. 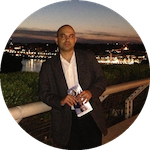 Though the music of jazz is an improvisational art that is continuously evolving, it is influenced by other music genres and cultures from where it borrows many of its underlying ideas. In fact, its country of birth, the Unites States is a land of many different immigrants and musical influences, and it is this diversity of cultures, that created the music of jazz. 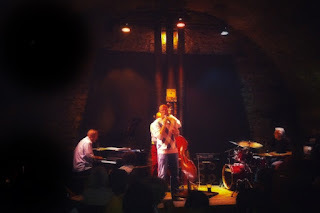 Jazz is an individual expression but requires a collective collaboration. Jazz is free form and makes itself up as it goes along but it is rooted in rich traditions and its own rules. Jazz is about living through your own imagination, with a relentless drive for achieving something new yet also learning from the past. Jazz is a music genre that originated in the African-American communities of New Orleans, United States at the turn-of-the 20th century but played from the beginning by musicians of every color with ideas borrowed from traditions and styles of other music genres and cultures, mainly African, European and Latin American. Though the origins of jazz traces itself to the culturally diverse city of New Orleans in the state of Louisiana, the elements that created this music genre were present in other regions of the United States for several years before they merged into its own recognizable distinct style. No other American state has a more diverse history than Louisiana which has been governed under 10 different flags beginning in 1541 with Hernando de Soto's claim of the region for Spain. 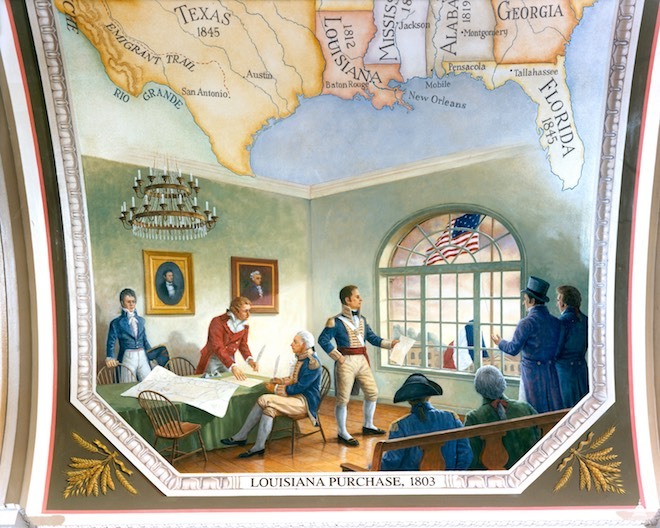 Louisiana was at one time or another subject to the Union Jack of Great Britain, the flag of Spain, the Tricolor of Napoleon before it became a part of the United States when President Thomas Jefferson negotiated the Louisiana Purchase with Napoleon for approximately 15 million in 1803. The early settlers in Louisiana and its major city of New Orleans were a mixture of immigrants from France and Spain followed by immigrants from other parts of Europe, Africa and the Caribbean. These early settlers whose ancestry traces to colonial Louisiana prior to the Louisiana Purchase are referred to as Creole. After the Louisiana purchase, many Anglo- and African-Americans moved into New Orleans followed by more European immigrants particularly from Italy, Ireland and Germany. 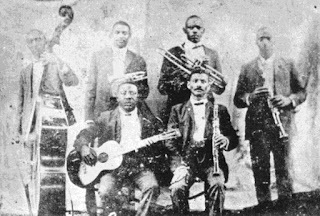 The new influx of immigrants brought their own musical styles and dances such as the waltzes and polkas to New Orleans besides the elements of blues, ragtime, spirituals and folk which were deeply rooted in African-American culture. The rich diversity of cultures in New Orleans created all forms of music which was played for parades, picnics and other social gatherings. Music was a form of personal expression for many of the city's inhabitants trying to adapt to their new surroundings. In New Orleans as in many towns across the United States there was a tradition of marching brass bands. The early signs of jazz are said to have emerged from the musicians who made up these marching bands as they abandoned the formal written parts of the music and instead improvised with their own variations. 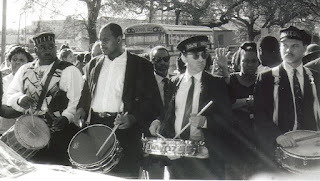 The practice of improvised brass bands developed into a custom that persists to this day for music funerals in New Orleans, where a brass band plays the mournful tune on the way to the cemetery, then breaks into a joyful improvised dances as it returns to the wake. Many of the elements of the New Orleans tradition of jazz funerals come from a mixture of different influences—African spiritual practices, specifically the Yoruba tribe of Nigeria and other parts of West Africa and and the Haitian Voodoo idea of celebrating after death in order to please the spirits who protect the dead. 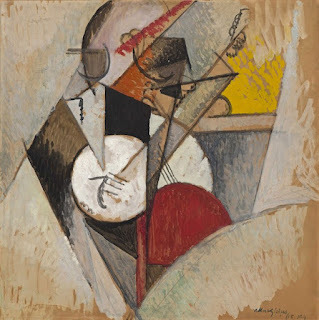 Though jazz was influenced by many different styles of music, one of its biggest contributors was ragtime which is a distinctly American musical style considered a synthesis of African polyrhythms and European music, especially the marches, and having a syncopated or 'ragged' rhythm. The influence of ragtime on jazz can be seen from the many early jazz tunes which took their structure, a sequence of melodic themes linked together by 'bridge' passages, from the way the ragtime music was composed besides its ability to synthesize various musical styles from different cultures. 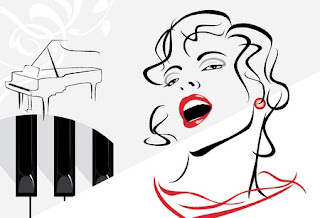 The term 'jazz' began as a West Coast slang term around 1912, the meaning of which varied but it did not initially refer to music. It is believed to be related to 'jasm', a slang term dating back to 1860 meaning spirit, energy or vigor. One of the early references to jazz music can be seen from a 1915 painting by the French artist, theorist and writer Albert Gleizes called 'Composition for "Jazz"' inspired by the vibrant performance of a black jazz group performing at a restaurant in Harlem, a neighborhood in New York City. Jazz was not developed overnight, nor was it a creation of a single individual. Its foundation is based on the elements of human creativity and a desire to improvise while learning from the work of others. Over the years the talent of many musicians have contributed to the evolution of jazz and listed below are a few of the early figures of jazz who took it one step further. Buddy Bolden was a musician who played the cornet and was regarded by contemporaries as a key figure in the development of a New Orleans style of ragtime music, which influenced the creation of jazz. He played music he heard 'by ear' and created an exciting and novel fusion of ragtime, black gospel music, marching-band music, and rural blues. Bolden is credited with creating a looser, more improvised version of ragtime and adding blues to it. Among many early musicians, Bolden and his band are considered the originators of the music which later acquired the term jazz music. 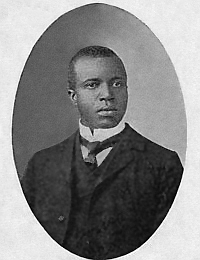 Scott Joplin was a composer and pianist who achieved fame for his ragtime compositions and was dubbed the 'King of Ragtime'. During his brief career, he wrote 44 original ragtime pieces with the 'Maple Leaf Rag', becoming ragtime's first and most influential hit. As a composer, Joplin refined ragtime, elevating it above the low and unrefined form played during his time to the classic rag, which combined Afro-American folk music's syncopation and 19th-century European classical music, with its harmonic schemes and its march-like tempos making ragtime more tuneful, harmonically colorful and infectious. Ferdinand Joseph LaMothe known professionally as Jelly Roll Morton is widely considered as a pivotal figure in early jazz. He was a ragtime and early jazz pianist whose composition 'Jelly Roll Blues', published in 1915, was one of the first published jazz compositions. Morton's unique style of piano playing captured the influence of the diverse nature of New Orleans life—a delightful combination of classics, dances such as the waltzes and polkas, ragtime and the blues. 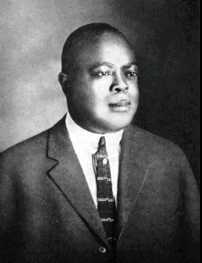 Joseph Nathan Oliver better known as King Oliver was a jazz cornet player and bandleader and was a major influence on numerous younger cornet/trumpet players in New Orleans and Chicago including Louis Armstrong. Joe King Oliver is said to have pioneered the use of mutes in jazz. A mute is a device fitted to a musical instrument to alter the sound produced by affecting the timbre or tone, reducing the volume, or most commonly both. 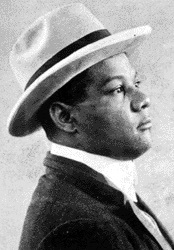 Sidney Bechet was a jazz saxophonist, clarinetist, and composer and one of the first important soloists in jazz, beating beating Louis Armstrong by a few months. Bechet was considered by many musicians as the master of improvisation and he played in many New Orleans ensembles using the improvisational techniques of the time—obbligatos, with scales and arpeggios, and varying the melody. 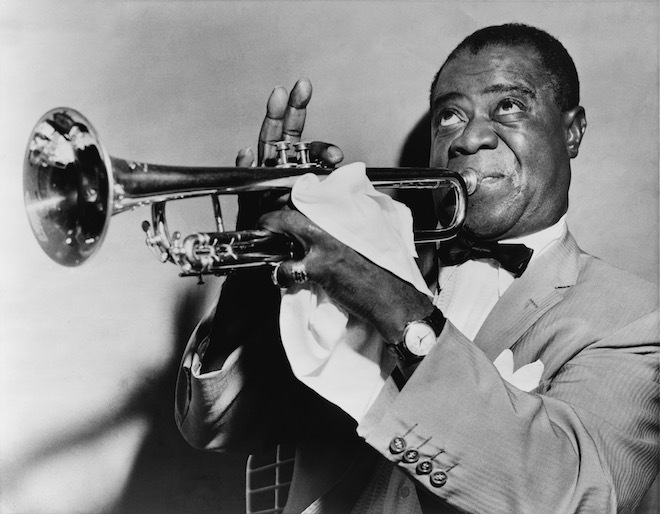 Louis Daniel Armstrong was a trumpeter, composer, and singer who was one of the most influential figures in jazz. Prior to Armstrong, most collective ensemble playing in jazz, simply varied the melodies of the songs. Armstrong was among the first to create significant variations based on the chord harmonies of the songs instead of merely on the melodies. His talent and pioneering work created a new dimension for improvisation, and significantly changed the music into a soloist's art form. 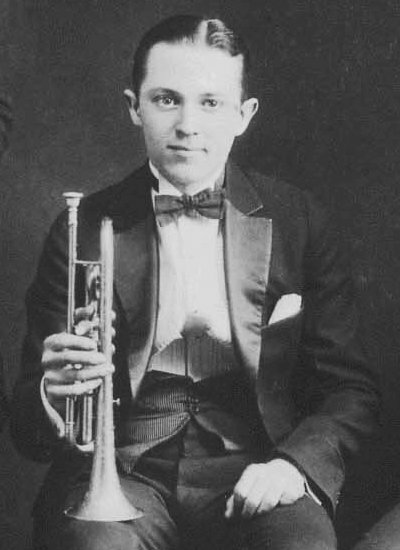 Leon Bismark Beiderbecke was a jazz cornet player, pianist, and composer whose beauty and blend of pure joyful tune and wistful haunting sadness brought an entirely new palette of musical colors into jazz. Along with Louis Armstrong, Beiderbecke was one of the most influential jazz soloists of the 1920s. His sound was vibrant, yet more subdued, with a lighter tone and quietly poetic than that of most other trumpet or cornet players, a style which over a period of time evolved into cool jazz. There are many others who contributed to the history of jazz and the list would not be complete without acknowledging the contributions of Duke Ellington, Thelonious Monk, Benny Goodman, Ella Fitzgerald, Betty Carter, Charlie Parker and Miles Davis.